In this post I would like to discuss the option of surgery when all other back pain treatments have failed and you feel like you have exhausted all your options. Perhaps, however, you have relied on the advice of only one specialist. Perhaps you are so frustrated and so over being in pain that you don’t care anymore, wanting it just to be fixed … Now. I would like to be very clear from the outset that I am not attempting to try and convince you that surgery is the wrong way to go. I am both practical and a realist, and I completely agree that surgery has its place in certain circumstances. I do, however, see it as a last resort only when nothing else has worked and I have, myself, had occasion to give patients my blessing to go forward with surgery when it has been recommended to them. I have suffered back problems since I was eighteen when my first (of many) slipped discs occurred. I experienced these on and off for many years and visited many Osteopaths but in the end they could no longer help. I was recommended for Surgery in 1988. I was undecided which path to take but in the end it was so acute that I couldn’t carry out my job in Personnel and Recruitment so I reluctantly took the surgery option in 1990. I had the Laminectomy Surgery but my spinal cord was accidentally “nicked” and subsequently leaked fluid. I was only eventually informed of this after I asked some questions because I was in such constant pain and unable to walk or stand up after the surgery. The Surgeon said he wouldn’t re-operate as he was worried about the stability of my spine. I was eventually transferred by ambulance to another hospital where a second operation was carried out, and finally discharged three months later. During my time in Hospital I had an x-ray of my right hip because of the intense pain I was experiencing there as well as in my back and legs. They thought my hip might have been fractured during surgery, but this proved negative. Since then I have had several more hip x-rays. Recently I was informed that I had Bursitis by one Senior Houseman and I had a cortisone injection which only lasted for under two weeks. When I went for my next appointment I saw someone totally different and was told it was referred pain from my back and that they couldn’t help me any further. When I returned to the Hospital for a check-up I was in a wheelchair and still in constant pain. Another MRI Scan (to date I have had approximately seven of these) was ordered which results showed all the bone growth had returned again. At forty two years of age, I was told I had the spine of an eighty year old. After the first Operation the Surgeon tried twice to give me Epidurals – one under local anaesthetic and the other under general anaesthetic, but the stenosis in my spine was too far gone to get the needle in. I have been through the mill. Neither of the two Pain Specialists I saw could help me. I have had subcutaneous injections, combined anaesthetic and painkilling injections, hydrotherapy and acupuncture. I went to a Physio but was always too acute for any treatment to be tried. They tried epileptic drugs to try and interfere with the pain receptors, opiates and arthritis medication. The list goes on and on. I really feel for Geraldine because, as a Back Pain Specialist I know that, in all probability, had she received the right help as a teenager it is likely she would not have had to go through any of these traumatic experiences. She has, instead, ended up a victim of surgery gone wrong because conventional therapists were unable to deal with her problem properly. Geraldine may well have had a successful and uneventful operation if the nerve had not been ‘nicked’ but as a result, the flow on effects to her body from the drugs and inactivity have left her in a state which will be very difficult to come back from. This is a prime example of the risks and complications of surgery and the twists of fate that can change the course of someone’s life so dramatically. Geraldine’s letter should serve to remind us why it is SO crucial to explore and exhaust all treatment options before you resort to surgery. Even if you no longer feel pain after the surgery, it is often not the end of the story because the nerve impingement or chronic back pain that you were operated on for is only the symptom of a much bigger underlying problem, so the probability that the pain will come back is extremely high when it is left untreated. There is a point I try to make strongly in my books and articles and it is something that unfortunately medical specialists so often fail to address. A disc doesn’t just bulge and a joint doesn’t just ache for no apparent reason, and without cause. There is always some form of muscle imbalance underneath it all which causes pressure to build up and cause pain. Somehow, however, this gets completely overlooked and remains untreated, even years after surgery. When the pain returns, patients are led to believe that surgery hasn’t worked after all, when all along the problem has been with the underlying muscle imbalance. It is important to understand that a muscle imbalance presents when a key structural muscle on one side of the body has a different length, strength or tension level to the same muscle on the other side of the body. When the muscles are ‘switched on’ during exertion and/or exercise it causes the pelvis to twist or tilt. To explain it better, we all understand the effect that the force of gravity has on your body. It is this force that causes your muscles to, in effect, be put ‘under pressure’. If your body is balanced the muscles all work together to share the load and distribute weight evenly. However, if your muscles are unbalanced the pressure is concentrated into a small area in the centre of your body- your lower back. Over time this pressure can cause a disc to bulge, herniate or even rupture and it can cause a joint to be out of alignment. Either way however, it always causes some degree of pain. Unfortunately, when you resort to surgery, whilst the surgeon faithfully operates to repair symptoms of the problem, nothing is done to correct the actual problem of these underlying muscle imbalances – which really is the first and most important thing to do, even before surgery, to ensure that the surgery has every chance of lasting success. 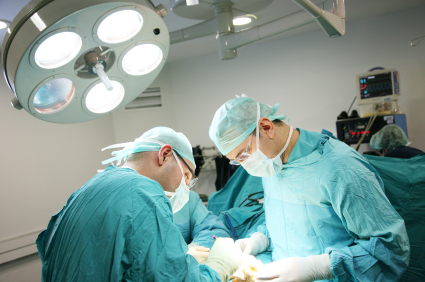 Statistics show that in the months following surgery, only around 50% of surgeries are successful. You can be pretty sure that the other 50% of unsuccessful surgeries were due to patients having had significant imbalances which could not be masked or held at bay by surgery. However, there are no statistics that assess a patient 5 or 10 years after surgery. When the imbalances are left untreated, they continue to put pressure on the lower back and over time they cause the pain to come back either in the same area or in a joint above the one that was operated on. One of the worst things about surgery is that because it masks the presence of the muscle imbalance, the body just deteriorates further without the patient realising it. By the time the pain comes back, the sufferer is that much older and weaker and because of it, far more difficult to treat. Imbalances cause your body to become tight and inflexible which restricts circulation to some areas and causes your muscles to become dysfunctional and tissues to deteriorate and become weak. The longer this is left untreated, the more difficult it is to reverse this deterioration and get the body balanced and working properly again. There are very few people who have had ‘successful’ back surgery who can go back to their ‘normal’ physical lifestyle without suffering a relapse or experiencing another chronic pain somewhere else, which, not surprisingly, just comes from the same muscle imbalance that was present before the first surgery. If surgeons understood the implications of muscle imbalances and worked in with a therapist who could fix them, not only would so many surgeries be unnecessary, but the ones that were performed would have a higher success rate in the long term. In closing, the moral of my story is that no matter what type of back pain you have or whether you believe you need to or have already had surgery, you must, as part of the recovery process, have your body rebalanced by someone who knows what they are doing. If, however, you would prefer to start off with some self treatment at home, the best selling Self Treatment Programme is an excellent resource. My greatest wish is that all back pain sufferers realise how important it is to treat underlying muscle imbalances before they resort to surgery and before they succumb to a life of constant pain and frustration. 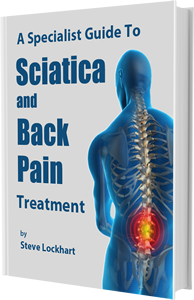 Back pain IS treatable and, in many cases, curable. You only have one spine so every decision you make could be the difference between a happy and healthy pain free future, or a lifetime of pain and expense such as that which Geraldine has had to endure, and that is the last thing I want for anyone. Make sure your email address is correct with no spaces and you haven’t subscribed twice and you should receive an email telling where to watch the free demonstration.